One victim who was beat after following commands said one man had what appeared to be a machine gun. DEKALB COUNTY, Ga. — All three victims heard a loud noise at the back door but only one of them went to check things out. That curiosity was ultimately punished by men who struck the man several times in the back of the head demanding money. 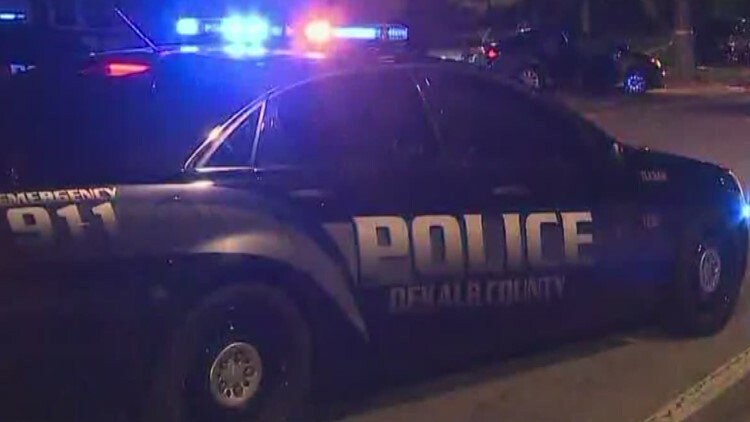 Now, DeKalb County police are trying to find the four men who busted into a home in a violent home invasion on Wednesday. The victims were all laying in bed around 3:30 a.m. when the incident unfolded at a home in the 2000 block of Fields Drive. When the first victim left his room, he said he was confronted by two armed men - one wearing an Army jacket but otherwise dressed in all black. They demanded he go back to his room and then struck him in the back of the head demanding he tell them where he was keeping money. One of them was even carrying what he said looked like a machine gun. Another victim said she heard the confrontation but never went outside. Even from inside her room she could hear the man being hit. Another woman said she hid under the covers until two more men came into her room and pulled them down, also demanding money. Police haven't released details on the suspects since very few were apparently available. The fact that three were wearing ski masks could make identification that much more difficult. Still, anyone who does have more information is asked to call DeKalb County police.